This post is sponsored by Le Creuset. All opinions are my own. am so excited that it's coming back! 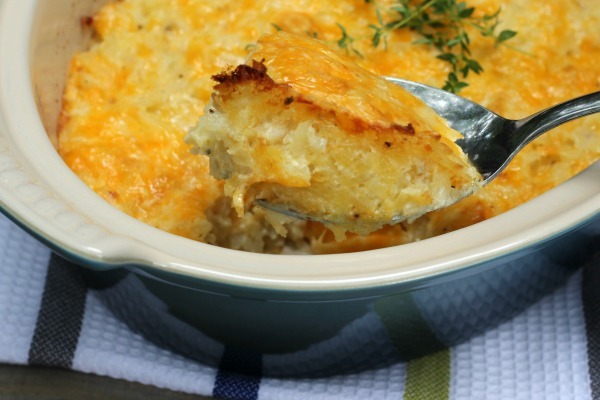 Today I'm sharing my recipe for Cheesy Hash Brown Casserole. 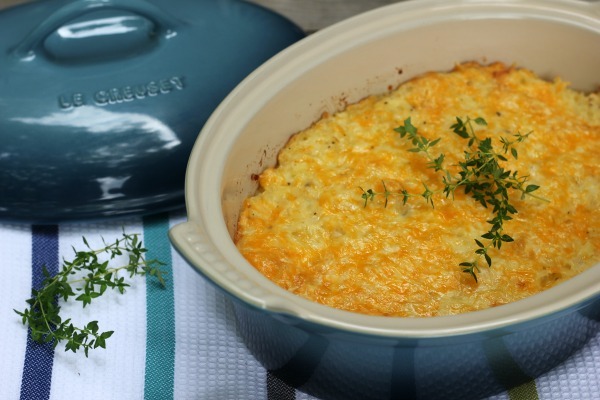 My family loves it and it's perfect to take along to a fall potluck or tailgate party. 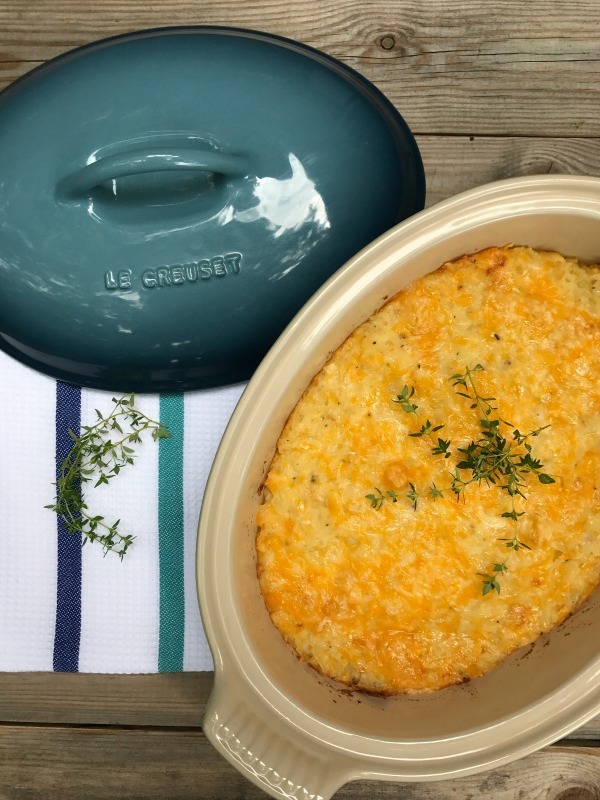 I like to serve it in this Heritage Oval Covered Casserole Dish by Le Creuset. freezer and dishwasher. I am in love with the color! It's called marine and it's so pretty! up is a breeze. The lid is nice for keeping the potatoes nice and warm until ready to serve. 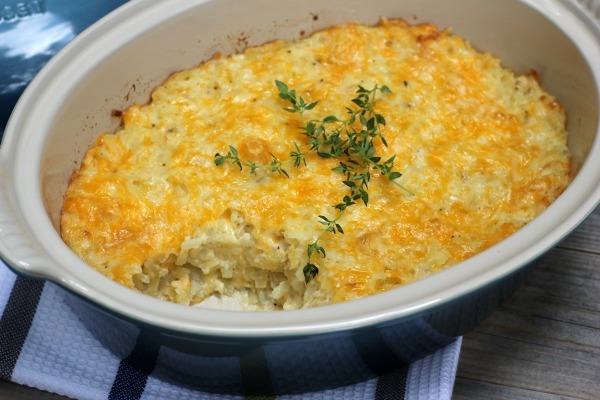 The secret to this delicious potato dish is to grate the cheese yourself. It doesn't take long at all to and it's totally worth it! 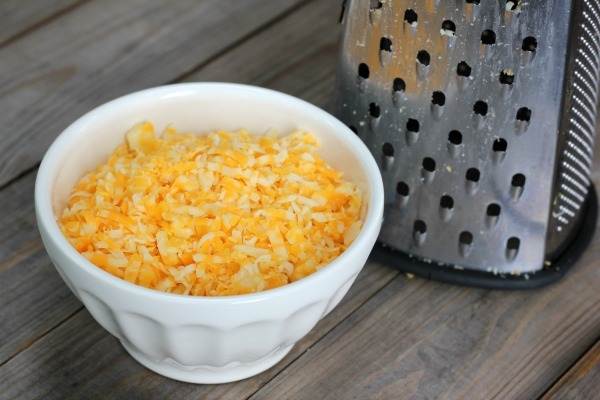 See all that cheesy goodness! I guess autumn isn't all that bad when I get to enjoy delicious comfort food like this. 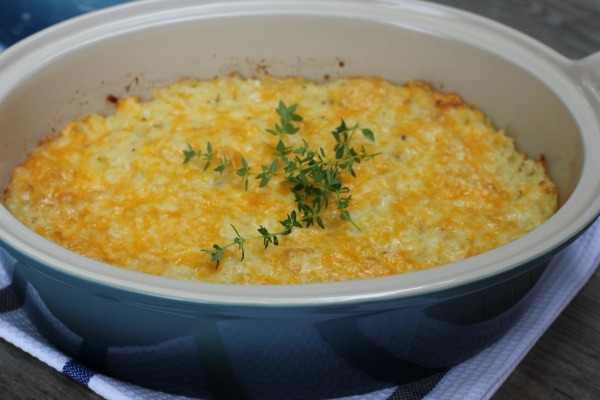 or Mixed Potato Gratin as well! Preheat oven to 350°. Spray casserole dish with cooking spray. Add hash brown potatoes and butter. Mix well. Transfer potato mixture to the prepared casserole dish. Bake 45-55 minutes or until bubbly.